LMH had its humble beginnings through a transformative event in the life of Msgr. Anthony Brouwers, the then Los Angeles Archdiocesan Director of the Propagation of the Faith. In 1954, Msgr. Brouwers traveled to Lagos, Nigeria for the Marian Congress. After the Congress, he traveled throughout Africa by train and boat, on foot, in trucks, jeeps and by motorcycle. He met with sisters, priests and bishops who were burdened with hundreds of tasks they were neither trained, nor in many cases, qualified to do — everything from caring for the sick, to publishing newspapers, trying to lay bricks, pulling teeth and repairing diesel engines. What Msgr. Brouwers was told throughout his travels was “We need help!” Returning to Los Angeles in 1955 he founded the Lay Mission-Helpers Association (LMH) to begin to meet these needs. LMH became the first program in the United States to send lay Catholics to serve in the foreign missions. 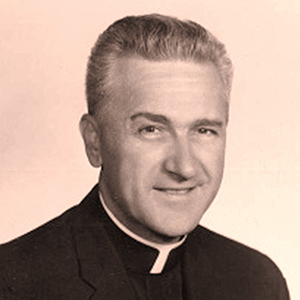 In 1959, Msgr. 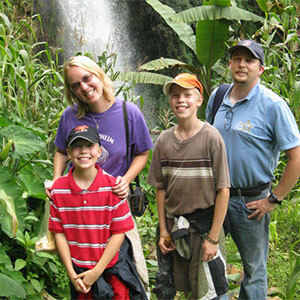 Brouwers founded Mission Doctors Association (MDA) to send Catholic doctors and their families to serve internationally. Since that time, LMH and MDA have sent over 750 men, women and families to 36 countries around the world.